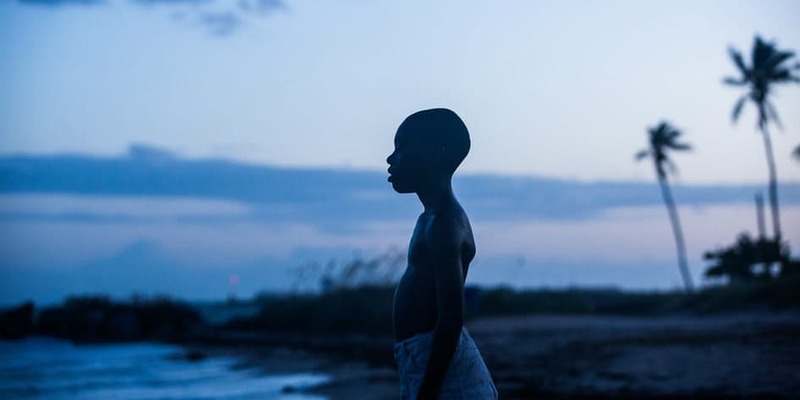 Based on the play In Moonlight Black Boys Look Blue by Tarell Alvin McCraney, Moonlight, revolves around Chiron in three key stages of his life. Told through three chapters, the audience is introduced to him as a timid and withdrawn nine-year-old (Alex Hibbert) who runs through the streets of Miami. He is regularly chased and bullied by his peers for his differences. 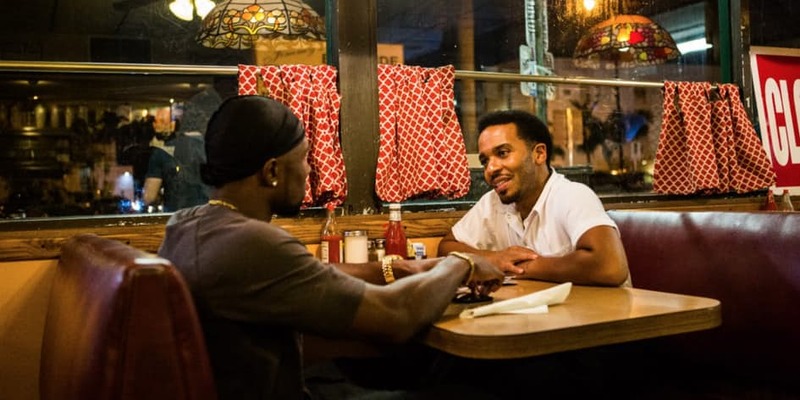 His problems attract the attention of the local drug dealer Juan (Mahershala Ali) who with the help of his girlfriend Teresa (Janelle Monae) becomes a surrogate father and mother figure to the young lad. As they care for him, he begins to open and reveal little titbits of his rough upbringing like the fact his biological father is absent and he despises his mother Paula (Naomie Harris) a nurse, whose nasty drug addiction has had adverse effects on their relationship. 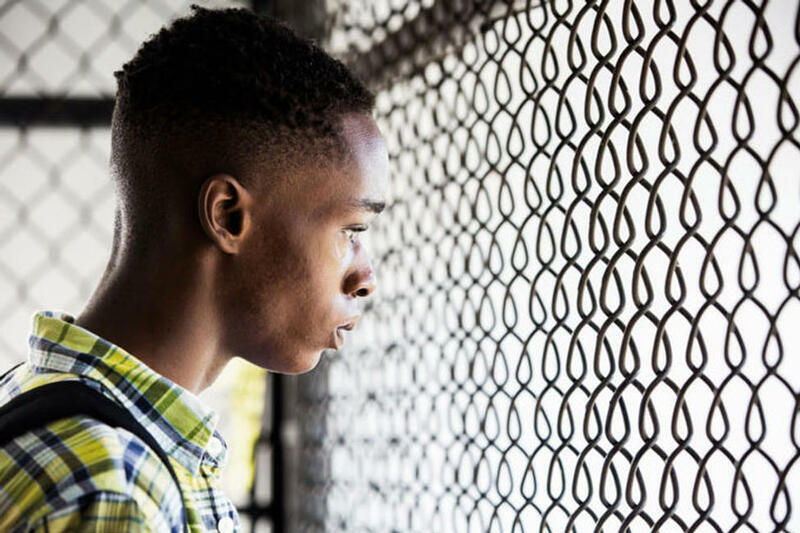 Well into his teenage years (Ashton Sanders), the crowd will also see that he is still reserved, lonely and is still considered to be an outcast. This of course makes him a target for the bullies at his school, who seem to recognise that there is something within him that’s he is struggling to accept. In this period of his life, he has learnt how to hide his true colours from those surrounding him. He slowly develops a tough exterior thanks to the circumstances he faces. By time the third act comes around, Chiron (Trevante Rhodes) has become a man who is fully guarded against the cruel world and is willing to walk down a dark path in order to avoid facing who he really is. Despite this, a potential light at the end of the tunnel presents itself when an old friend who has been present through out his trouble life reaches out to him. 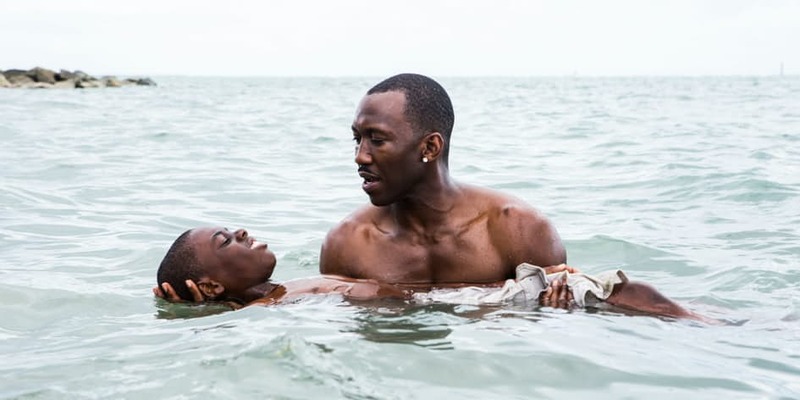 Juan (Mahershala Ali) teaching Chiron how to swim. Moonlight is directed by Barry Jenkins a director who has honed his craft as a storyteller through various short films and it features a cast that has Naomie Harris, Mahershala Ali, Janelle Monae, Alex Hibbert, and Ashton Sanders & Trevante Rhodes. With that said, Moonlight has all the tools and pieces to tell a powerful story, but does it succeed? Ashton Sanders portrays the teenage version of Chiron. The Three actors who play Chiron – Alex Hibbert as the kid, Ashton Sanders as the teenage version and former athlete Trevante Rhodes as the grown-up all give solid performances that help establish the sense that we are watching the continuous growth of the same character. This allows the movie to flawlessly show how Chiron evolves from being a soft-spoken and timid child to a sensitive teenager and hardened adult, whose machismo and physically imposing body becomes a natural defensive mechanism for a man who has been through a lot in his troubled past. It makes the picture thematically effective as the characters gradual change poses questions about, growth, identity and the definition of masculinity as his peers often question his sexuality. These performances highlight the predicaments that outcasts face, which is refreshing, as a lot of films don’t focus on this. The audience will definitely enjoy watching the character study of Chiron unravel as the movie progresses. The supporting cast also help make this film a very memorable one. The different characters the movie introduces all have a significant role in Chiron’s upbringing. 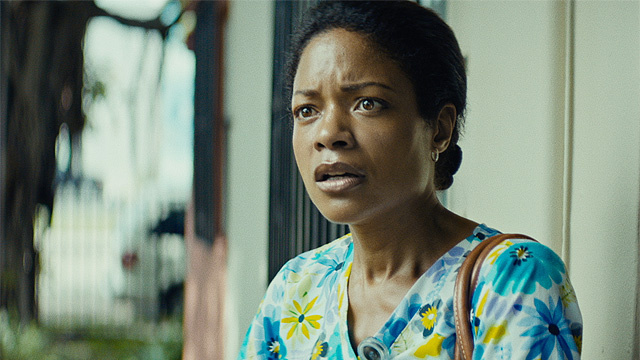 Naomie Harris’s turn as Paula truly deserves all her nominations as she manages to make a character that could have easily been one-dimensional a conflicted one, which was also achieved thanks to delicate writing . Despite her battles with drug addiction, she at times shows deep care and affection for her only son but most times this agape love is overshadowed by her dependency on crack that transforms her into a woman that cruelly neglects her offspring and his challenges. This performance was truly impressive considering the fact that the actress only had three days to shoot all her scenes and is said to be a teetotaller. Juan who is played by Mahershala Ali also gets an opportunity to present his drug-dealing persona with depth as he takes interest in Chiron during his formative years. Despite his dodgy dealings he does in order to make ends meet, he has enough heart to become a father figure to a lonely child as he takes care of the boy when his mother isn’t in the picture and teaches skills like swimming which was really endearing to watch. The most important supporting character without a doubt is Kevin, Chiron’s only friend. Like our protagonist, three different actors play Kevin. Jaden Piner as a child, Jharrel Jerome as a teen and Andre Holland as an adult. They all do a good job acting as a foil to Chiron as the character presents himself through the three eras as a more confident and outgoing personality who understands our lead character as he is also battling with his own identity and masculinity, but is better at hiding it and interacting with his peers which as a result takes him in a completely different direction by time we reach the third chapter. The movie’s cinematography really brings this poetic tale to life thanks to its luscious lighting and raw imagery that is captured through long takes and handheld camerawork. This rough and indie style of filming blends extremely well with the more polished camera work that arises when the film’s, visually striking and emotionally charged moments come in to play. The camera work also gives the world a vibrant feel, as its nice and colourful throughout, the main characters childhood and it slowly deteriorates to a grittier world as we move deeper into the second and third chapter. 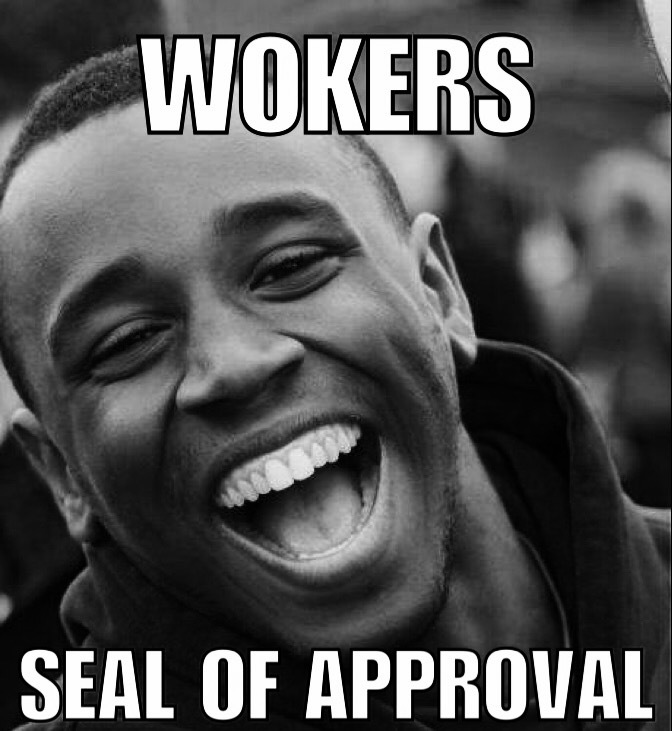 This goes a long way in making the world a character of its own. 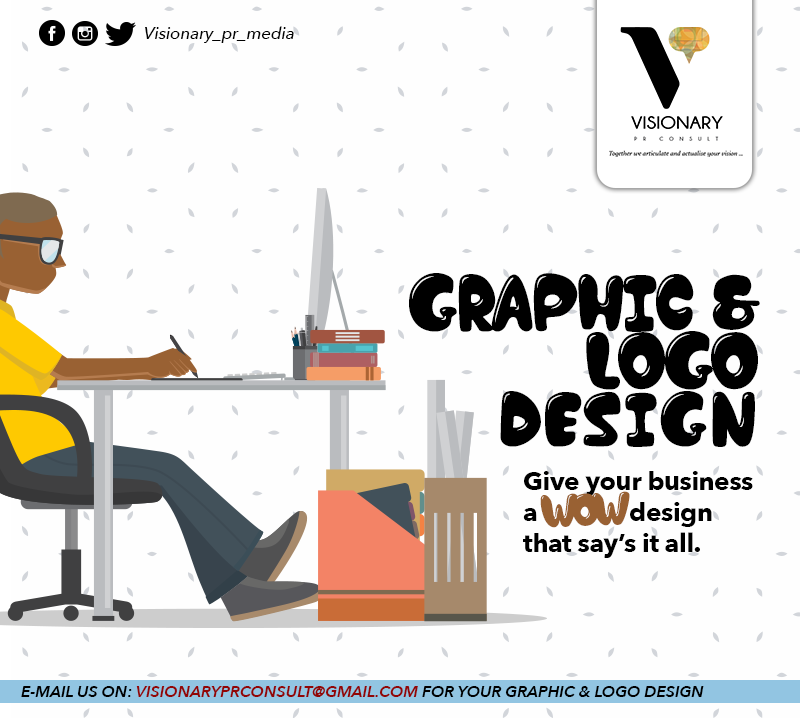 Behind the striking yet simple visuals is the use of a broad soundtrack that features a classical-styled score and smart use of old and contemporary pop songs. Naomie Harris’s best performance to date. Janelle Monae as Juan’s girlfriend, Teresa who acts like a mother figure to Chiron during his childhood and teenage years presence is felt thanks to her kindness and charisma. However, my biggest issue with the character is that she is under-used despite how grand the effects of her actions are. This is not enough to detract from what is an excellent movie. Moonlight ends up being a compelling and emotional character study about a that is beautifully told through its camera work, narrative and strong performances from its cast. Moonlight is definitely movie you cannot afford to miss.